Having discussed the inclusion of StepWise with NHS Choices earlier this year, I had not heard anything back, and had forgotten about the whole matter. However, I noticed the listing the other day, and realised they had activated it without my knowledge. Firstly, I am immensely proud that the NHS have chosen to feature our StepWise Pedometer Fitness app. It is a great privilege to have written an app that they feel is worthy of promotion to the service users and public as a whole, and reminds me of why we do app development in the first place. The listing shows the old details for StepWise, from before the inclusion of iPhone 6 and iPhone 6 Plus, along with HealthKit and Today View Widget for iOS 8, along with the fact that StepWise was a paid app! StepWise has just gone free! This is something I was planning to do before Christmas and the New Years resolution period, as I feel that we have a responsibility to promote everyones health with the tools we have available. The inclusion of StepWise Pedometer on the NHS Choices website, has just confirmed to me that I did the right thing! I would like to thank NHS Choices for reviewing StepWise and promoting it as a safe and trusted app to help you manage your health. Download StepWise for iPhone 6, iPhone 6 Plus and iPhone 5S now! 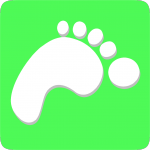 ← StepWise Pedometer goes Free!